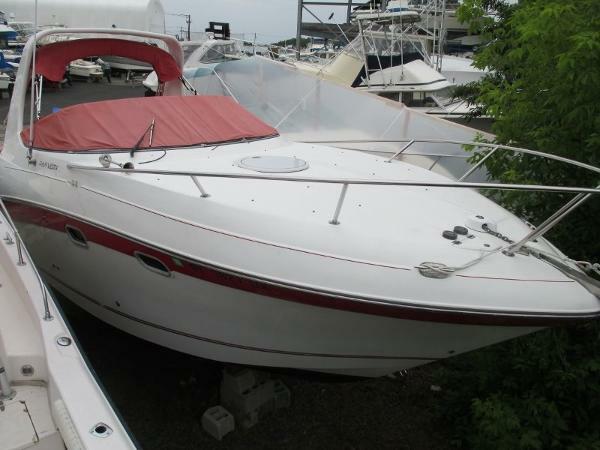 According to the Owner: This Four WInns 268 Vista Cruiser is in excellent condition. The carpets and cushions are in great shape. All of the helm instrumentation is clear and working. The cabin galley is clean, and all accessories function properly. The bimini top canvas is clean and in great shape. Comes with a cockpit cover. Stock #137328 Beautiful 268 Vista Cruiser in like new condition! Always Fresh Water! Sleeps 4! Full Galley! 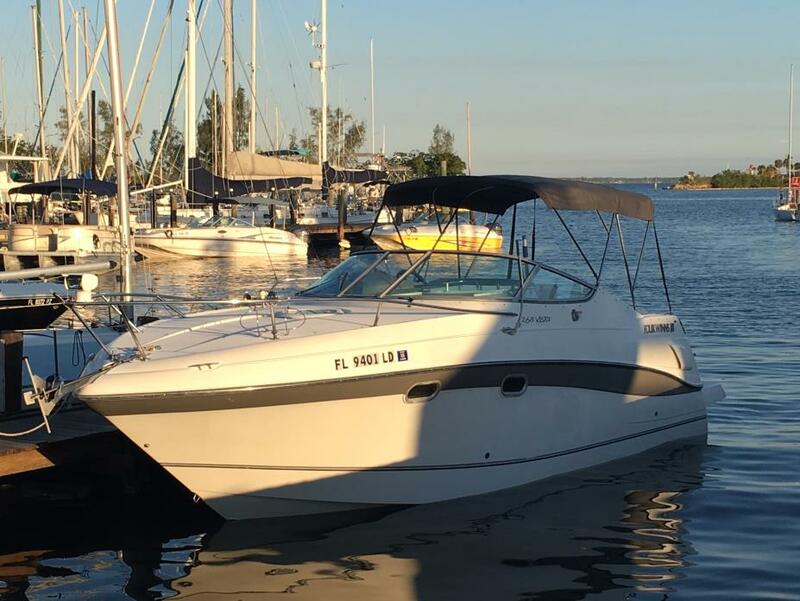 If you are in the market for an express cruiser, look no further than this 2000 Four Winns 268 Vista Cruiser, just reduced to $15,900 (offers encouraged). 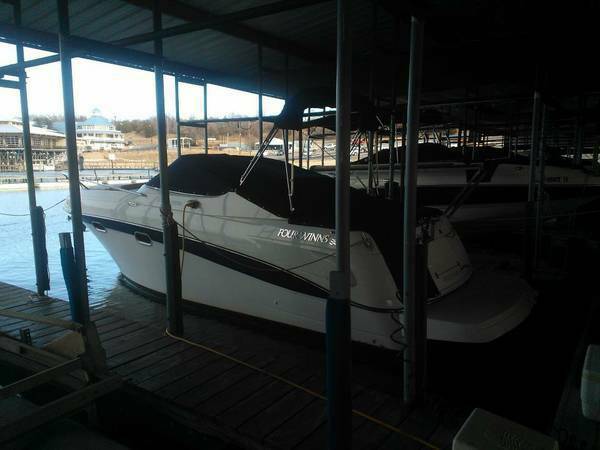 This boat is located in Littleton, North Carolina and is in good condition. She is also equipped with a Volvo Penta engine that has only 80 hours. Reason for selling is does not have the time to use the boat. 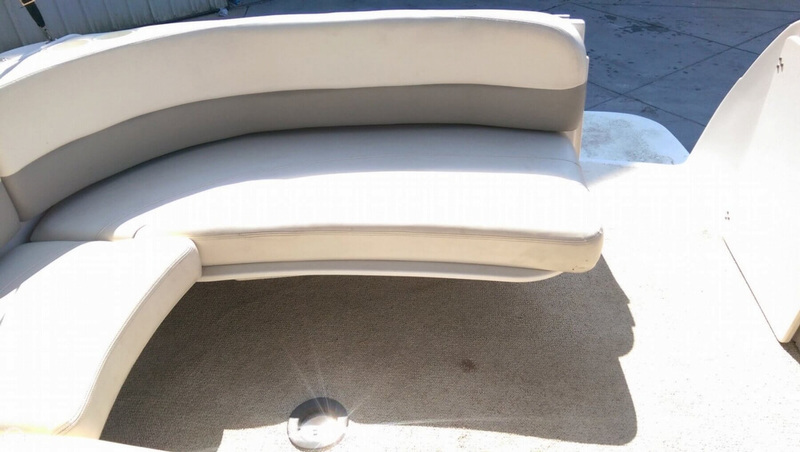 According to the seller: All electrical and mechanical systems are in good operating condition. Camper canvas enclosure can use some reconditioning of the Isinglass inserts. Trailer is in good condition and road ready Stock #149520 Beautiful Cruiser!! Perfect for weekends or cruises!! Trailer included!! 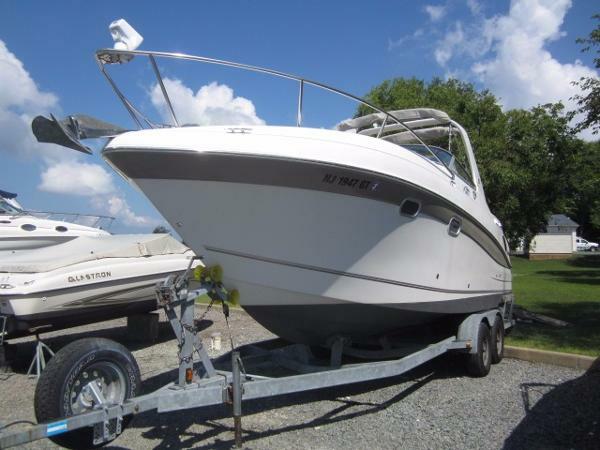 If you are in the market for an express cruiser, look no further than this 2000 Four Winns 268 vista, just reduced to $17,900 (offers encouraged). 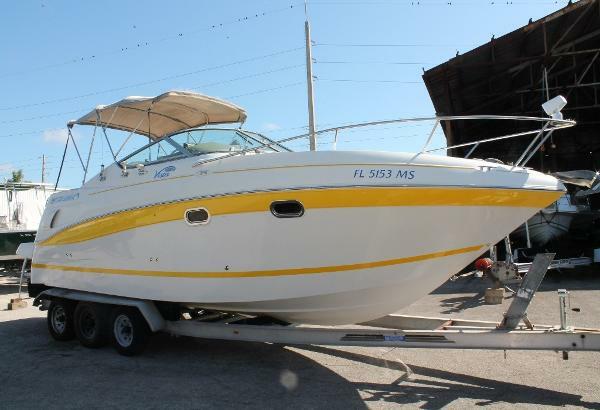 This boat is located in New Port Richey, Florida and is in good condition. She is also equipped with a Volvo Penta engine that has 591 hours. Reason for selling is no time to use. 2002 Four Winns 268 Vista The sister-ship photo of this boat shows off her running broadside beauty. Her 2012 repower puts her back in the space of reliability and dependability. At 8' 6" in the beam allows for her trailering capabilities and easy harbor jumping by land. Overnight and weekending is easy onboard for a family and/or a group of four with great topside sunbathing and entertaining areas for many more. 2000 Four Winns 268 Vista Scale, balance, responsiveness - these are the hallmarks of the Four Winns 268 Vista cruiser. A blend of head-turning Four Winns styling with the convenience of full cruiser features, the 268 is an easy choice for a discriminating boater. Details like a spacious extended swim platform enhance cruising pleasure. The 268 Vista has big-boat cabin detailing, a roomy cockpit, and a complete cruiser-style helm. 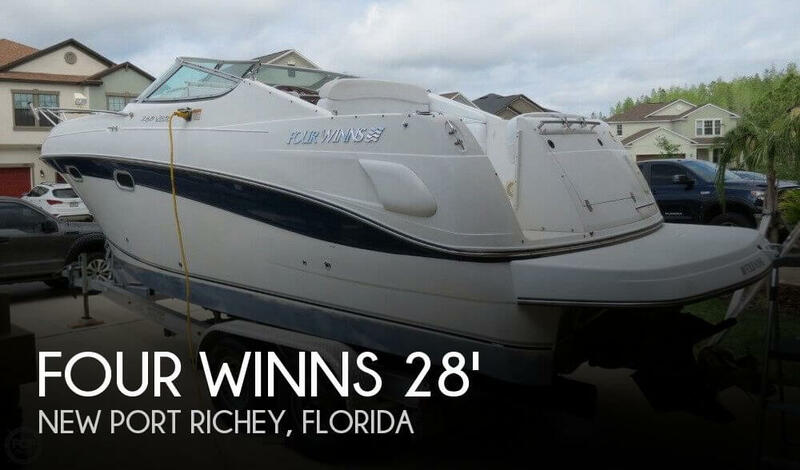 NICE CLEAN 2000 FOUR WINNS 268 VISTA EXPRESS CRUISER, 678 HOURS ON BOAT WITH ONLY 278 ON NEWER CRATE ENGINE, 5.7 VOLVO DUO-PROP 280HP, V-BERTH WITH PRIVACY CURTAIN, MID-CABIN, HEAD WITH SHOWER, AM/FM STEREO CD PLAYER, ELECTRIC STOVE, PRESSURE WATER, REFRIGERATOR, MICROWAVE, WATER HEATER, DEPTH FINDER, GPS, VHF, TRIM TABS, COMPASS, SEARCHLIGHT, 2 BATTERIES WITH SWITCH, BATTERY CHARGER, 110V SHORE POWER, SWIM PLATFORM WITH LADDER, TRANSOM SHOWER, TRANSOM DOOR, BIMINI TOP, SIDE CURTAINS (TOP NEEDS ZIPPERS ADDED), WALKTHROUGH WINDSHIELD, AFT SEAT, ANCHOR WITH CHAIN, COCKPIT TABLE, AUTOMATIC BILGE PUMP. RECENTLY REPLACED BOOT, THROTTLE CABLE, ALL GASKETS/BELTS/SEALS, MANIFOLDS AND RISERS, NEW SEATS, 100 HOUR SERVICE, ETC! 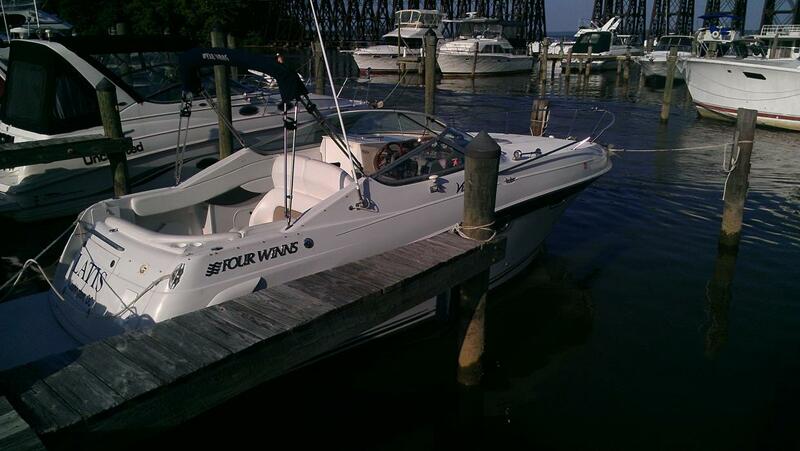 2003 Four Winns 268 Vista Perfect starter boat! Plenty of room and all the amenities needed for a great weekend on the Bay with friends and family! She comes with a trailer too! Call today for a showing! 2004 Four Winns 268 Vista 2004 Four Winns 268 Vista Cruiser 280HP fuel injected volvo penta engine bimini top boat cover camper canvas enclosure battery charger - dual 10 amp depth sounder gps fixed mount with cartography vhf radio stereo am/fm/cd/satellite with bluetooth microwave oven pressure water system electric/alcohol stove refrigerator hot water heater carry on air conditioning dual batteries dual stainless steel 3 blade prop halon fire suppression snap in/out carpet remote control spotlight fiberglass swim platform with ladder hydraulic trim tabs trim indicator enclosed marine head/sink/shower with pump out removable aft seating 10 person capacity cabin sleeps 4 110 volt shore power One Owner Max Draft 39"
2005 Four Winns 268 Vista This cruiser is ready for the water, New Re-man MerCruiser Long Block under 3yr warranty. 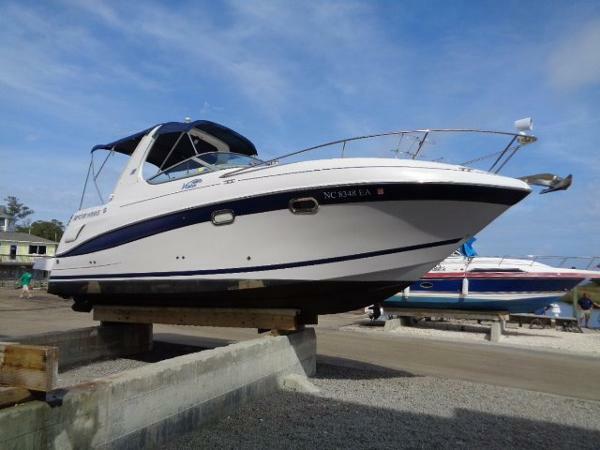 She is loaded with options: MerCruiser 300HP, Bravo III, Salt Away Flush System, Halon System, Trim Tabs, Raymarine RC320 Chart Plotter, Garmin 3006c GPS, Raymarine VHF, Windlass, Remote Spotlight, Hot Water tank, VacuFlush Head, Shower, Transom Shower, Transom Stereo Remote, Battery Charger, Shore Power A/C, Microwave. No trailer we can locate one if needed. 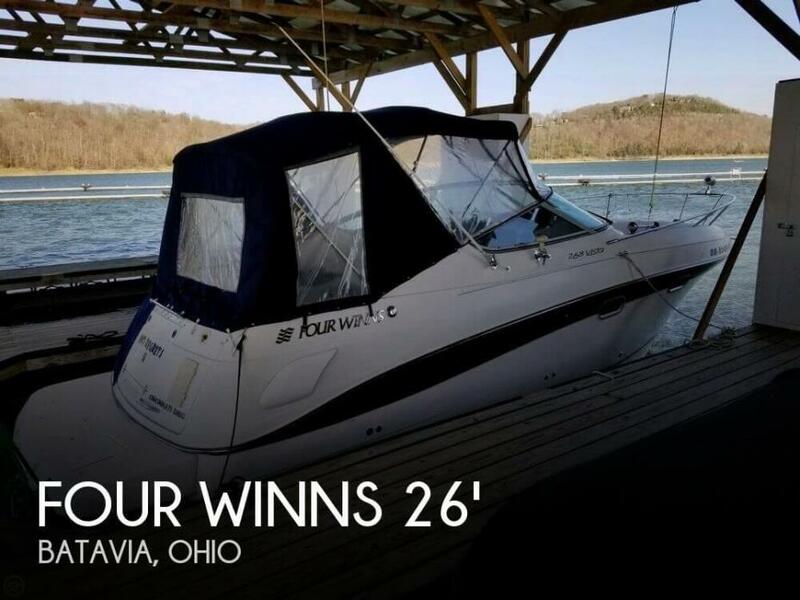 2000 Four Winns 268 Vista 2000 Four Winns 268 Vista Cruiser. Just under 500 hours. 5.7 Volvo 320 hp. Boat in great condition for it's age. Upholstery is perfect. No generator but has central air that operates with shore power. Comes with all covers. Just had bellows replaced, new gimbal bearing, 2 new batteries and a starter last month. $20,500.00 THIS BOAT DOES NOT HAVE A TRAILER. 2000 Four Winns 268 Vista FUN with FRIENDS & FAMILY, ALL ABOARD The BIG cruiser with lots of space, comforts and conveniences. With just low hours and new exhaust in 2013, she has lots of good life ahead for you. Cruise to adventure and relax in comfort-air conditioning/heat, galley, private head, windlass, walk thru windshield, spacious cockpit, extended swim platform, cockpit carpeting, foredeck cushions, screen for cabin doorway. Motivated Owner...with a full detail, she will be ready for the season! Get your OFFER accepted from ready seller now. 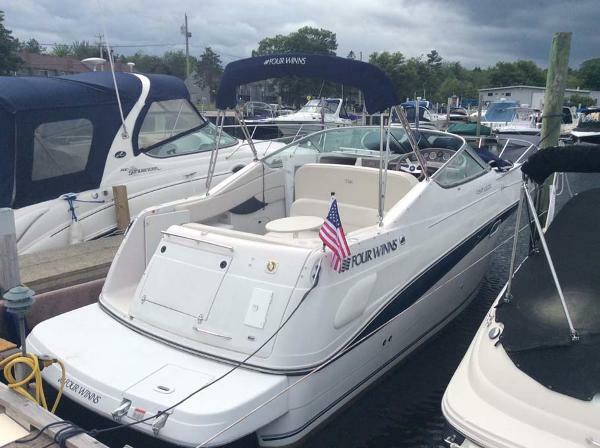 2005 Four Winns 268 Vista Generator Air and Heat New Garmin GPS in 2015 Windlass Bimini Top with Camper Enclosure-Enclosure New in 2015 Radar Arch Vacu Flush Head System TV with DVD Player You Will Not Find A More Loaded 26' Trailerable Cruiser OR A Better Value Than This Boat!! Want it all in a 26-foot package? This boat offers you a full stand up galley, versatile V berth area the converts to a sleeper, enclosed head with vacu flush system, plus, an aft cabin that sleeps two more adults. The cockpit is spacious and the helm station designed similar to the style of the larger Vistas. 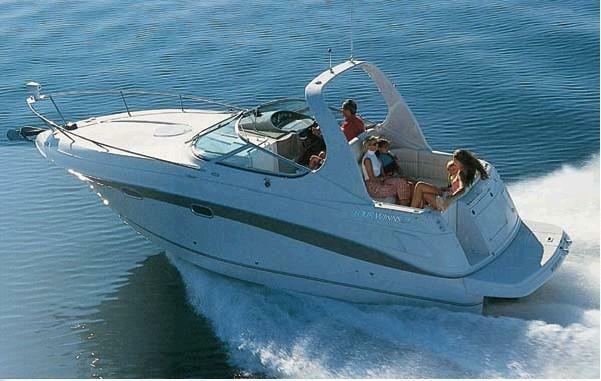 This boat has the optional radar arch which adds to the styling and sporty looks of the 268 Vista model. This boat is loaded with options not normally found on sister ships including generator ($13,000- option), windlass ($2,500- option), vacu flush head ($3,000- option), new Garmin gps/chart plotter new in 2015 ($2,000- option installed) and so much more. MerCruiser 350 Mag MPI engine with low hours coupled with dual prop Bravo III outdrive. 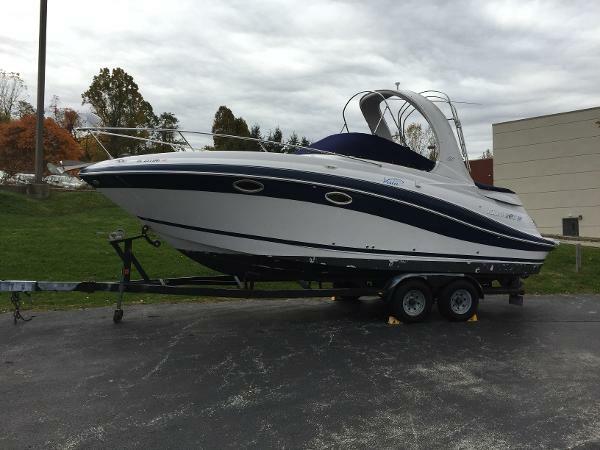 If you are in the market for a cruiser that has all of the big boat options, but, can be legally trailered without a permit this boat is far and away your best value and best choice. Bottom was painted in 2015, as, the boat sat in the water. There is not a trailer included. Smaller center console or dual console trade in boats with 4 stroke engines will be considered at a wholesale value. Contact listing broker with info on your current boat or with questions. Thank you for your interest. 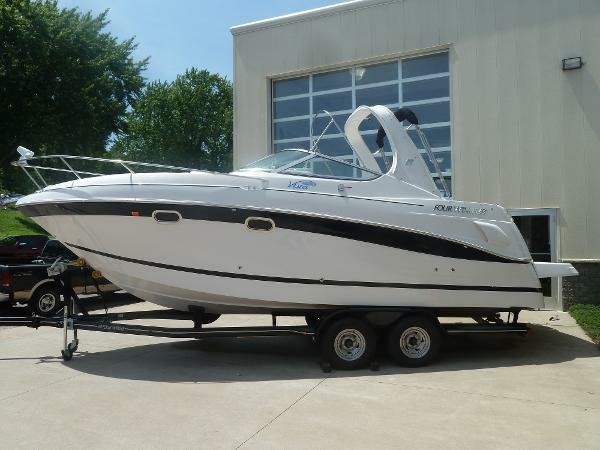 2005 Four Winns 268 Vista Want it all in a 26-foot package? A full stand up galley, versatile Vee berth area, fully outfitted head and accessible aft cabin are only a few of the lifestyle conveniences you'll enjoy on a 268 Vista. The cockpit is spacious and the helm station constructed in the style of the larger Vistas. Outfit with an optional radar arch and easy tow-ability with a custom trailer, the 268 is the perfect choice for carefree cruising. Four Winn has alot of features to name a few this is powered by Volvo 8.1L-GI-DP with only 402 hours, Kohler Gen with heat, air, windlass, arch, depth finder. This boat is eye candy and surely turn heads as you travel the rivers. 2001 Four Winns 268 Vista Four Winns 268 Vista cruiser is a great weekend live aboard or a perfect day boat with the comforts of home. It has a Volvo Penta 5.7L GXI dual prop 300hp engine with only 220 hours. 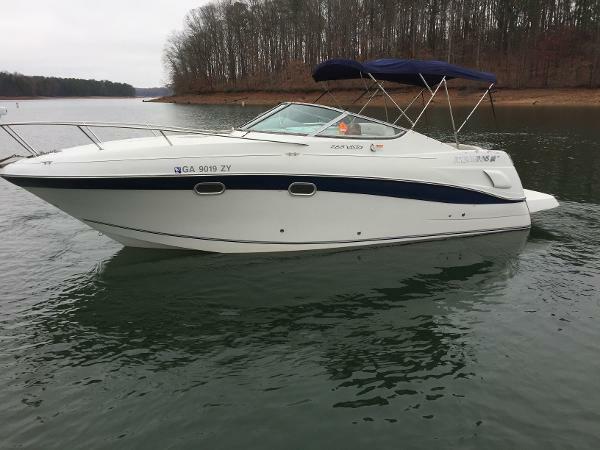 It has heat, A/C, bimini top, cockpit cover, snap in carpet, microwave, cook top, refrigerator, hot water heater, trim tabs, compass, depth finder, hot/cold transom shower, shore power with battery charger and larger extended swim platform. Don't miss out on this inexpensive weekend get away.